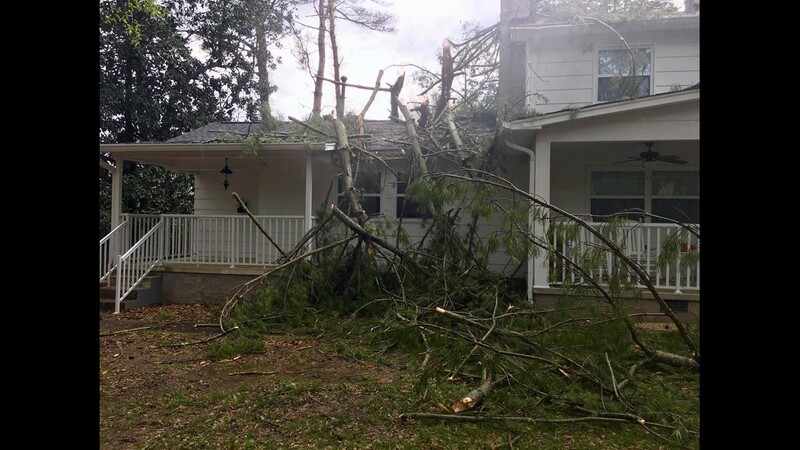 By Monday morning, the majority of the downed trees and debris had been removed from the roadway and residents who had lost power as a result of the storms had their electricity back up and running. 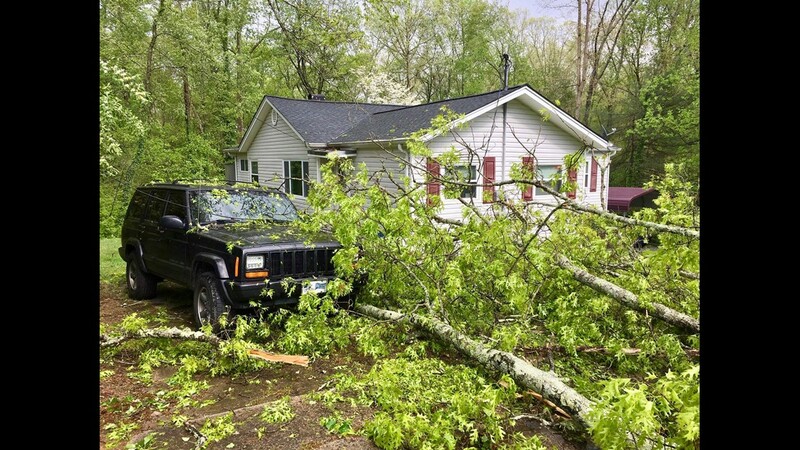 OAK RIDGE, Tenn. — The Sunday storms that made their way across East Tennessee left behind downed trees, snapped power lines and roof damage in Oak Ridge. 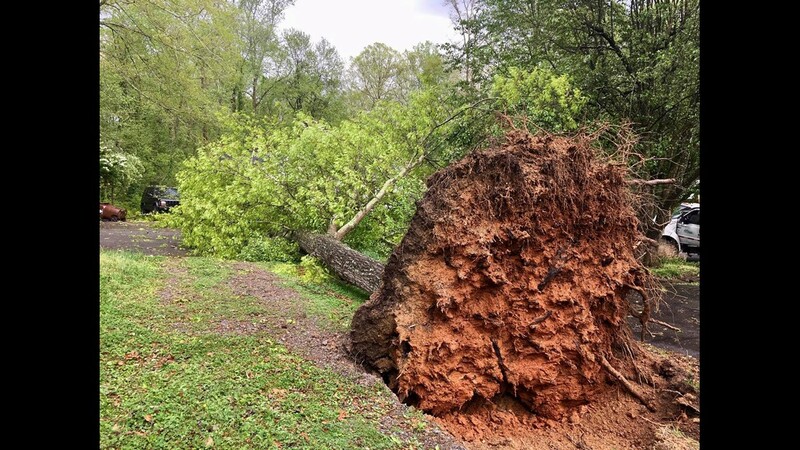 The City of Oak Ridge posted on Facebook on Sunday afternoon, updating residents on the status of their cleanup efforts, and adding pictures of damage that had been reported. 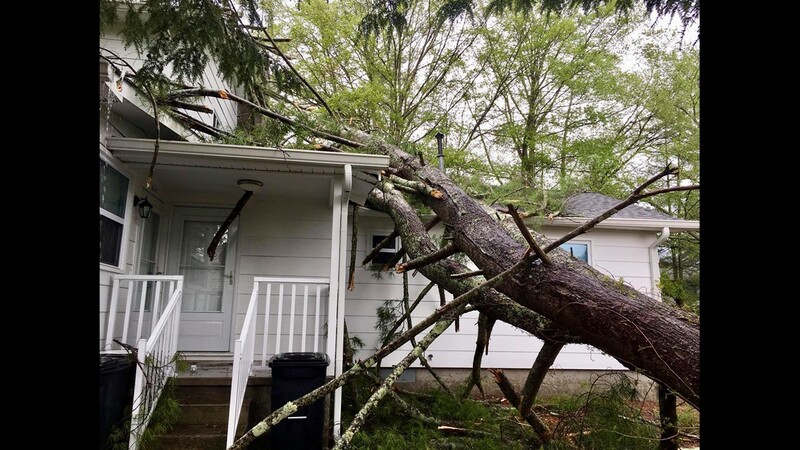 The city also reported "one woman was struck by a falling tree at her home on Nesper Road. 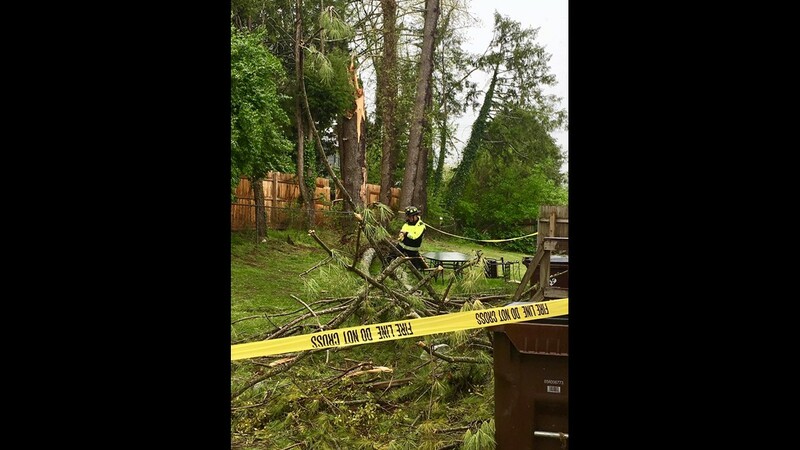 She was transported to the hospital with serious injuries." 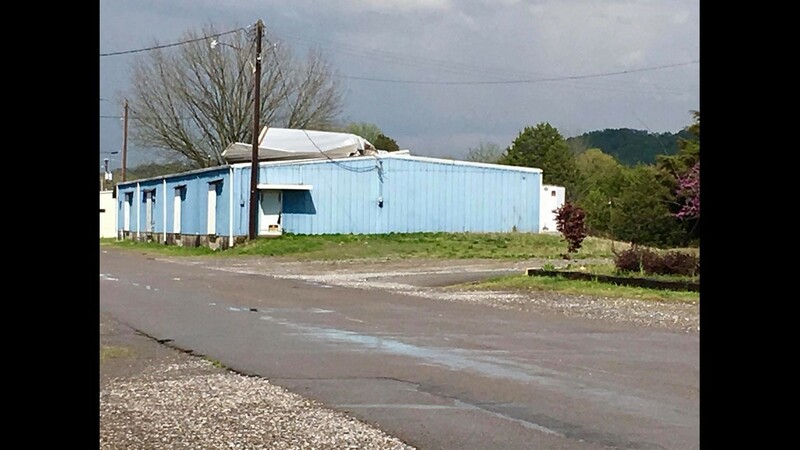 A building on Warehouse Road in Oak Ridge had a section of the roof peeled back due to high winds and had not been fixed as of Monday morning. 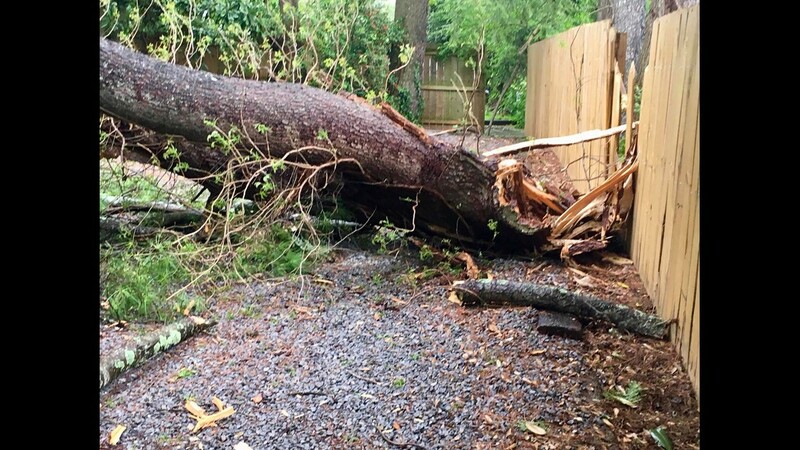 If you would like to report storm damage, call the non-emergency police line at (865) 425-3504. 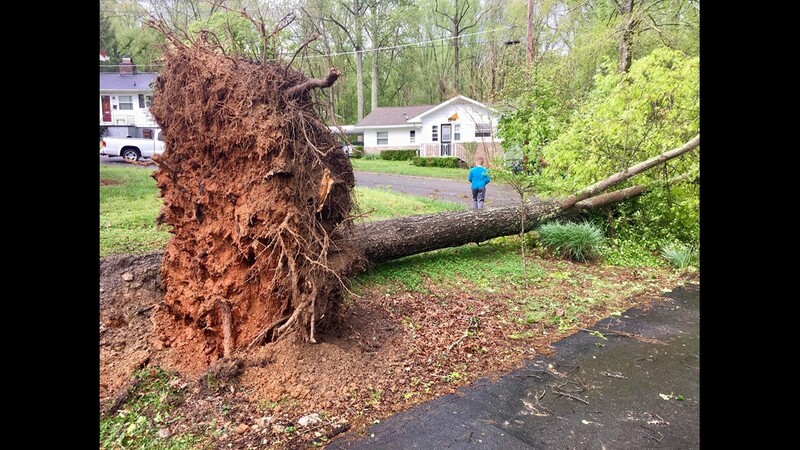 You should only call 911 if you are in immediate danger or needing an officer's assistance.